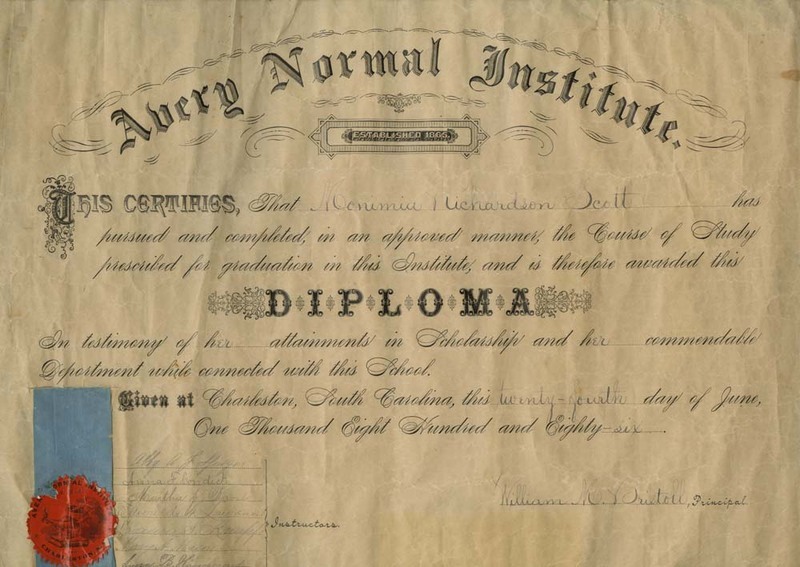 Diploma for Monimia Richardson Scott from the Avery Normal Institute, 1886, courtesy of the Avery Research Center. 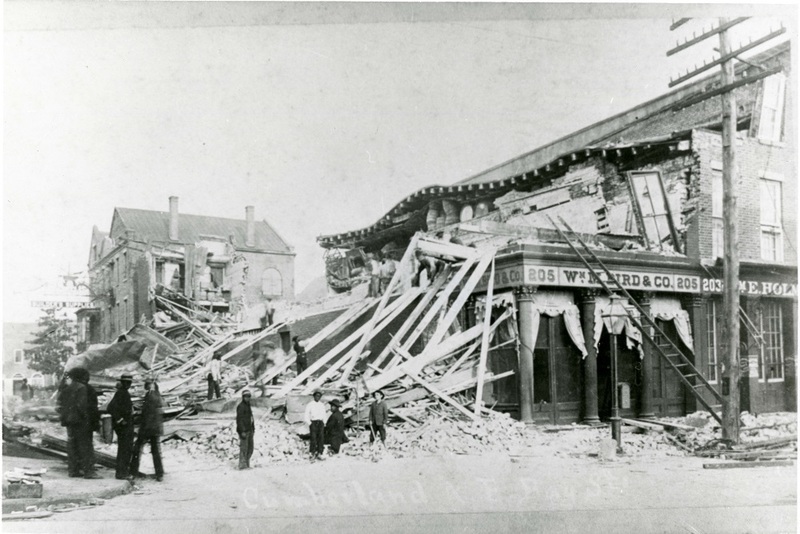 Earthquake damage, Charleston, South Carolina, 1886, courtesy of The Waring Historical Library, Medical University of South Carolina. Avery graduate with her diploma, ca. 1886, courtesy of the Avery Research Center. 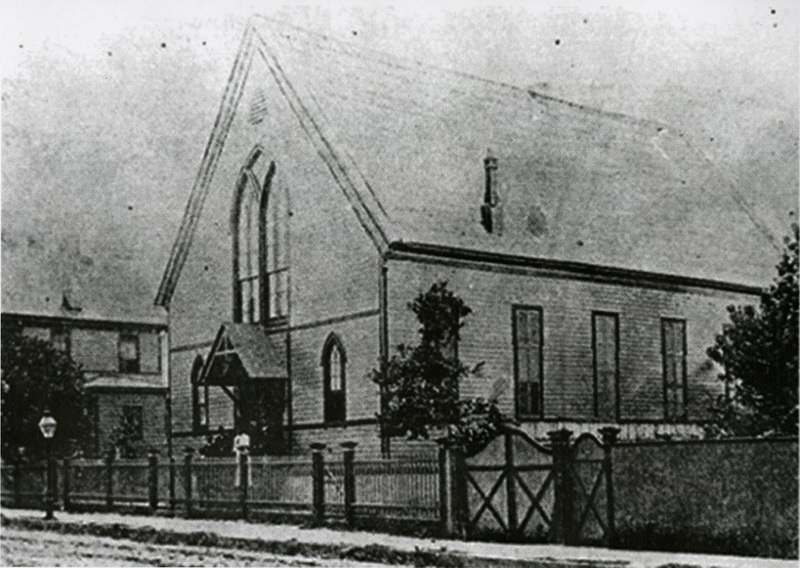 Plymouth Congregational Church and Parsonage, ca. 1895, courtesy of the Avery Research Center. 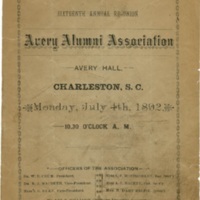 Avery Alumni Association Program, 1892, courtesy of the Avery Research Center. 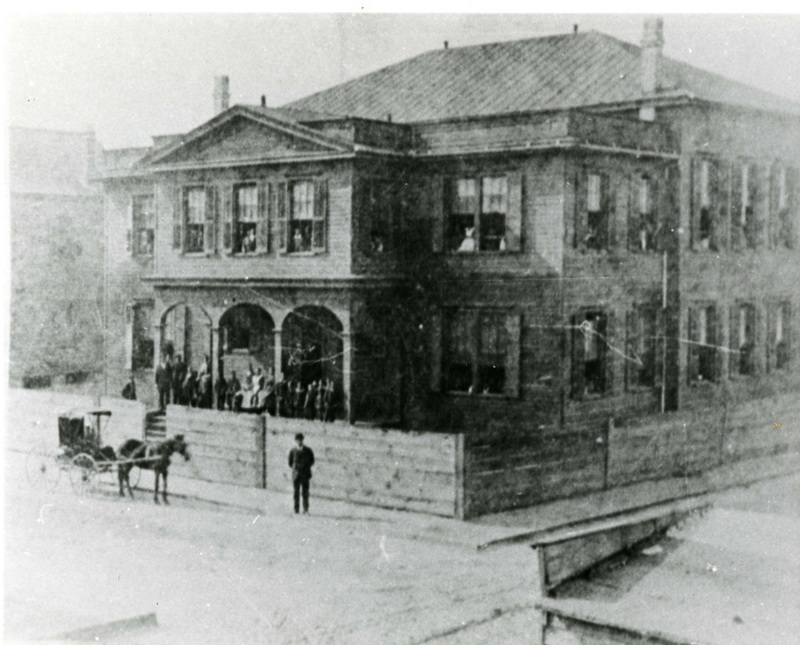 Reverend John L. Dart lays the cornerstone of the Charleston Industrial Institute (Dart standing in forefront on right), ca. 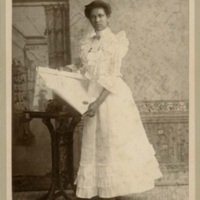 1890s, courtesy of the Avery Research Center. Born free before the Civil War, John L. Dart was the valedictorian of Avery’s first graduating class in 1872. 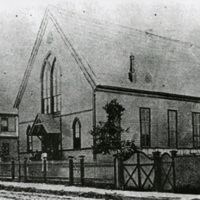 After attending Atlanta University and the Newton Theological Seminary in Massachusetts, he returned to Charleston in 1886 to become the pastor of the Morris Street Baptist Church. 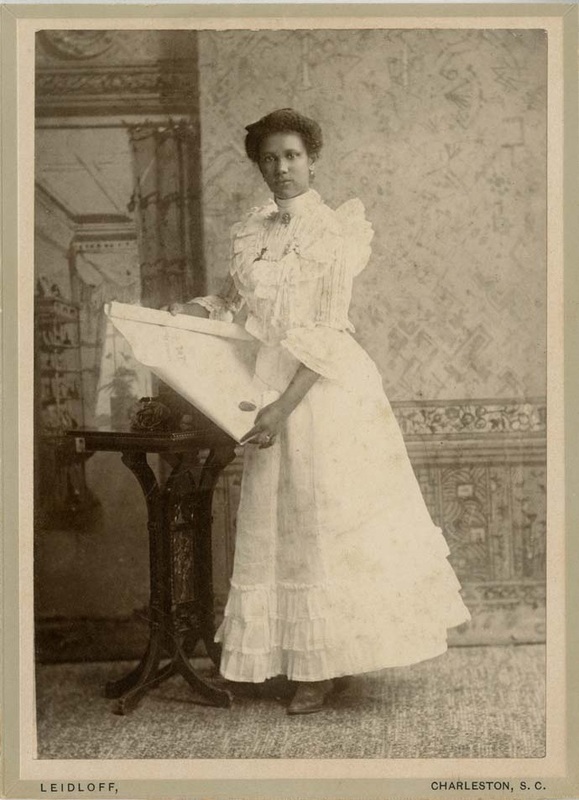 In 1894, Reverend Dart founded the Charleston Industrial Institute, the first vocational public school for Black students in the city. This Institute was eventually renamed the Charleston Colored Industrial School, and later Burke High School. 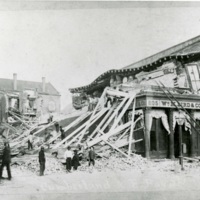 Dart also served as the editor of the Southern Reporter newspaper. Charleston Colored Industrial School building, Charleston, South Carolina, ca. 1901, from the Prospectus of the Charleston Industrial School, courtesy of the Avery Research Center. 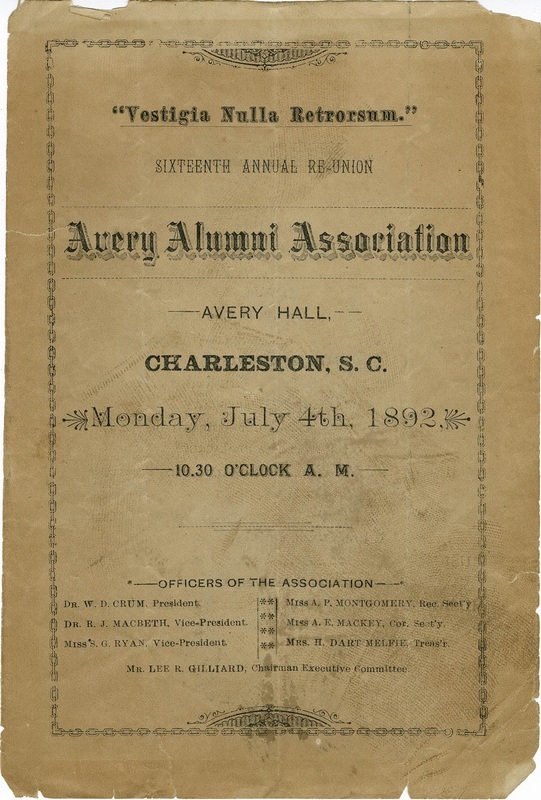 Avery alumnus Reverend John L. Dart founded the Charleston Industrial Institute in 1894 as a free public school for Black Charlestonians that focused on vocational and moral education. Dart’s original prospectus for the school read: "In view of the startling fact that there are more than 5,000 colored children in Charleston without free public school advantages, and knowing that the many boys and girls who are now growing up in ignorance, idleness and crime must become, in future, a large criminal and dependent class, a number of the leading and progressive colored men of this city undertook the work of establishing a school for colored children, where they could be taught not only reading and writing, but the lessons of morals, temperance, sewing, cooking, nursing, housework, carpentering, etc."